Maybe there are many ways which can help you convert the ppt to image that allow you to insert them to your document with the content keeping in ppt file. Now I will show you a new which not only can convert ppt to image but also can compress them automatically. Meanwhile you can also edit the property of the converted image files. If you are interested in it, please read this article. I do the conversion from ppt to image by software docPrint Pro. I will take converting ppt to eps for example to show the details for the conversion. I roughly divide the conversion in four steps. I download this software on it website where you can learn more about it. Also you can find many other software for file format conversion. There are also command line version for those who have been used to MS-Dos window,Document Printer (docPrint) SDK v5.0 version for those who need to call it from VB, C# and other computer languages. If you need it, you can find the right version for you. One you download it successfully, there will be a new icon on the desktop. Double click it then you can work with it. Step 2. Make the preparation work. Add file to docPrint Pro. This is the first step for using docPrint Pro. If the files are kept on the desktop, simply dragging it to the blanks will be ok. If you need to convert the online ppt to eps, you need to click “file” option then go to “Add file URL”. 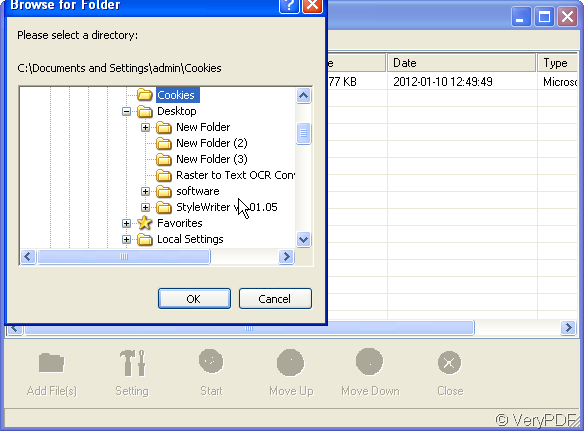 If you have a lot of files needed converting, you can make a folder in advance then choose the option “Monitor a special directory”. By this way, all the files in this directory can be converted from ppt to eps automatically. Setting output file by clicking “setting” button. Choose the eps in the “Base setting” sub label. If you need to adjust the color depth and image resolution, please go to “Save image mode” sub label. Step 3. Do the conversion. As all the preparative work has been done, then you can click the button “Start” to end the conversion. 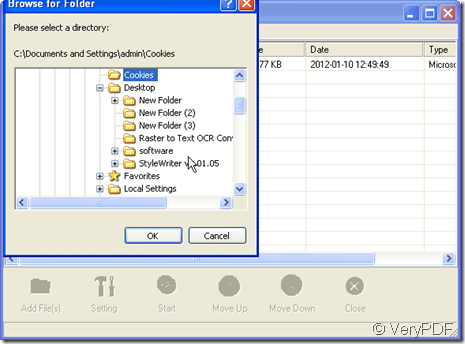 In this step, you need to choose a folder to save the converted image file. Maybe three seconds later, you can get the converted image file in the appointed folder. This is the end of the conversion from ppt to eps. If you have any question about ppt to image conversion or other fil format conversion, please feel free to email us at support@verypdf.com at any time. Thanks for your reading and visiting in advance. How to convert MS PowerPoint documents of ppt to tif ? How to convert MS PowerPoint documents of ppt to postscript? What are the differences between PowerPoint to Flash Converter and PowerPoint Converter products? What are the differences between your docPrint and docPrint Pro products? How to convert OpenOffice to EPS? How to convert documents of OpenOffice to JPC? How to convert documents of HTML to JBIG? This entry was posted in docPrint Pro and tagged docPrint Pro, PPT to eps, ppt to image. Bookmark the permalink.